Damage done by wolves will be automatically compensated for the next three years, and the animals will only be shot as a last resort, under a new plan to manage the increasing presence of wolves in the Netherlands. The plan, drawn up by provincial councils, will be put into action once it is certain that wolves have chosen to settle permanently in the country. The animals have been spotted in Drenthe, Groningen and Friesland and one female wolf may settle permanently in the Veluwe area in Gelderland this year. Sheep farmers lost some 134 sheep due to what are thought to be attacks by roaming wolves in 2018. Agricultural organisation LTO called the plan ‘disappointing’ and said it did not sufficiently ‘guarantee the safety of people and animals’. ‘Many of our questions remain unanswered,’ LTO Nature and landscape development expert Ben Haarman said in a reaction. ‘How will all locals and farmers be informed if a wolf is in the area? Wolves can travel up to 70 kilometres in day. People need to know what to do in case of an incident. Why are preventive measures left to the individual provinces? (..) What will happen once the three years are up? Much is still unclear.’ Haarman said. The re-emergence of wolves, which come mostly from Eastern Europe, remains controversial. Recently the director of the Hoge Veluwe national park Seger Emmanuel baron van Voorst tot Voorst said wolves have no place in the Netherlands and should be removed from the protected species list so they can be controlled. Wolven in Nederland spokesman Roeland Vermeulen told DutchNews.nl at the time that management is key. 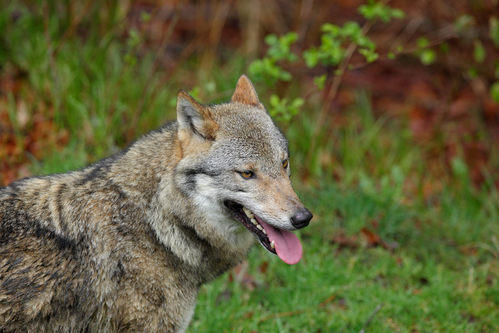 The return of the wolf in the Netherlands is subject to policies agreed upon by the provincial authorities and in line with European guidelines, he said.